The very last bits of the Autumn are among us–have you gone out and photographed it in all it’s gorgeous beauty? If you haven’t that’s quite sad; it gives you the opportunity to try a new method of focusing. To start, this requires looking at the world and the way that colors play out and contrast from one another. Indeed, contrast is one of the biggest parts of composing by color–the method we’re focusing on in this edition of Xpert Advice. Using the Fujifilm Velvia Film color profile may help out the most here. Positioning specific colors on an intersecting line of the rule of thirds to grab the viewer’s attention. You can also just move it along the grid until the scene looks artistically pleasing. It’s best to think abstract here. Balancing the use of positive and negative space to actually make this color stand out and draw someone’s attention to the scene. The simplest way to do this is by using the rule of thirds but by specifically putting a super punchy color on that intersecting line. Composing by color also involves things like the use of depth of field to get the most out of it. In general, it’s best to go on either extreme with super shallow depth of field or everything totally in focus. Also, try choosing a certain color and simply moving your camera around in all sorts of angles and directions. Go get out and shoot before all the leaves are gone! 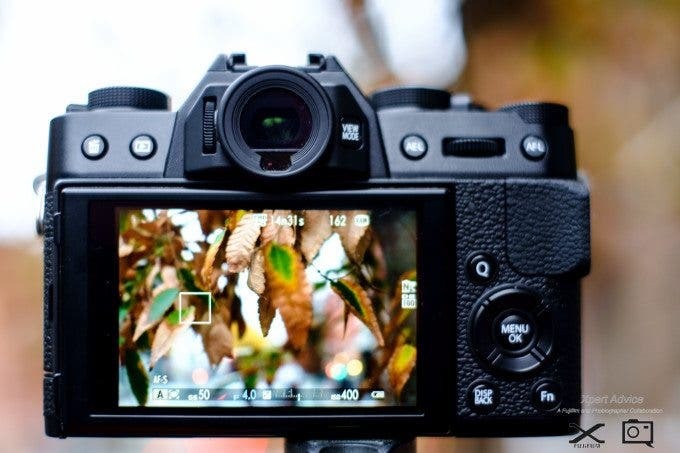 Xpert Advice is a monthly collaboration between the Phoblographer and Fujifilm designed to teach you photography tips and tricks in a bite-sized package.